As more and more Dallas residents are exploring alternative fuel systems, we’ve gotten some of the same questions pretty routinely here at Northwest Propane Gas Company. One of those questions is, “What effect will an alternative fuel system have on the durability of my engine?” In this article, we’ll explore this important benefit of alternative fuels. Studies have shown that operations with alternative fuels have no significant negative effects on engine wear rates and durability. 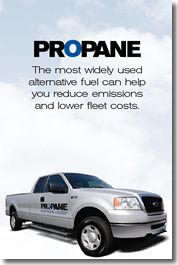 Of all alternative fuels available, propane offers the best mix of durability, performance and driving range. Many Dallas owners report on the average, an extended three years service life and extended service intervals between required maintenance. Engines can last two times longer than gasoline engines due to the clean burning qualities of propane. This makes propane a reliable alternative fuel choice to power your engine and increases it’s lifespan at the time same. Generally speaking, operating with alternative fuels has no adverse effects on engine wear rates and durability. Because engine thermal loads are equivalent to 100% diesel operation, no excess wear of engine components occur. In fact, the opposite is true and proven by oil analysis. Also, many Dallas users of gaseous fuels have reported positive benefits relative to engine wear including extended oil change intervals and extended time between overhauls. This is primarily the result of the cleaner burning characteristics of natural gas and propane compared to diesel fuel. Northwest Propane Gas Company is happy to answer whatever questions you may have regarding alternative fuel systems and your engine. We have years of service experience in the Dallas area, and your skilled technicians stand by to assist you however we can. Give us a call at 972-247-6121 to learn more about our products and services. Give us a call today.